Cliathon Starbuster - Our sire. Cliathon Starbuster; aka. 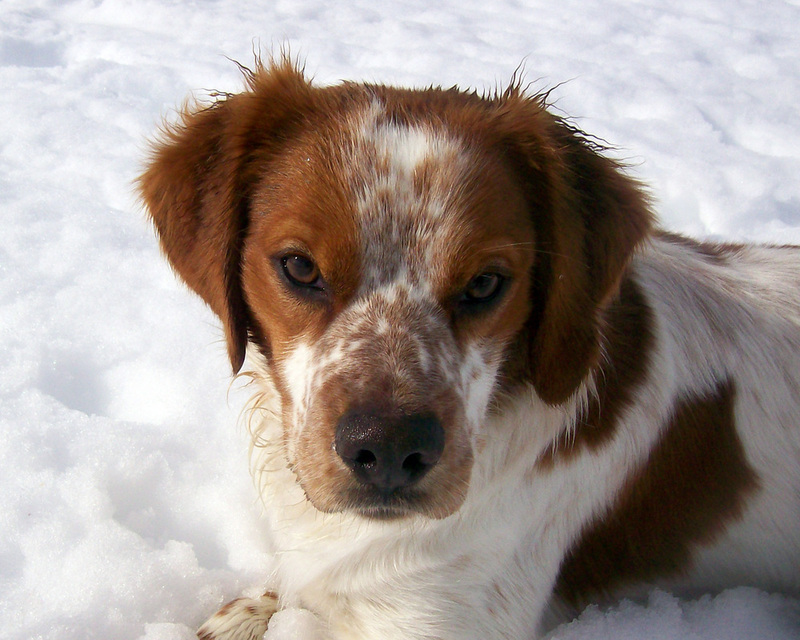 Buddy is a European import that is the cornerstone of our hunting kennels. 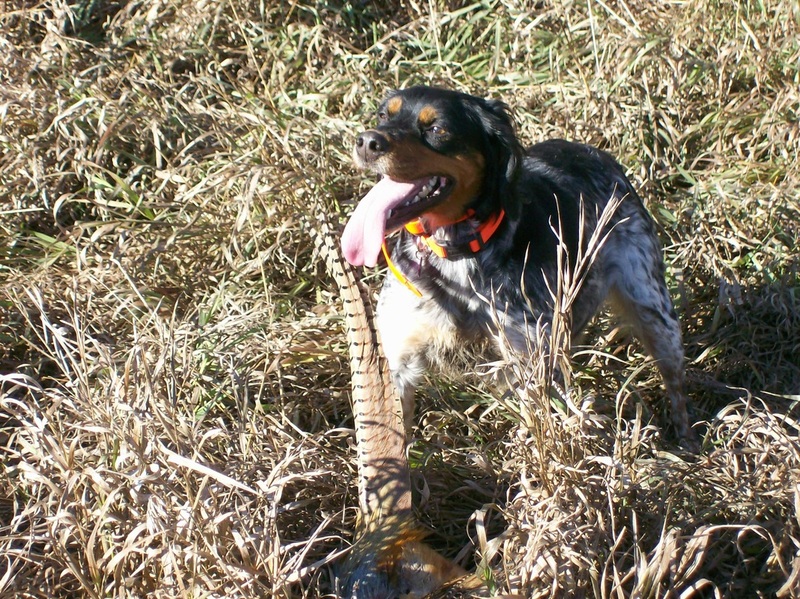 He is a terrific pheasant dog who is also a great family dog and a goofy dog. Sina Matu of Sand Lake - Our dam. Sina Matu of Sand Lake; aka. Sina is a beautiful, feminine black tri-colored girl with a lot of drive. She is the mother of our current litter of pups and we couldn't be happier! Congrats to Sharla and Mike from North Dakota on purchasing this wonderful girl! Tank lives up to his name. He is a very muscular, solid boy. Congratulations to Mike in Wyoming on your purchase of this great pup! Suzy will soon be heading to her new home in Maryland. Congratulations Chris! 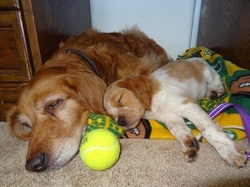 Here is Keeva, shown sharing some down time with her new best snuggle buddy Yoshi, in Nebraska. Thanks to the Menning family for giving this little girl a great home! Congratulations to Holly and her mother in North Dakota for picking out Gator to join their family. 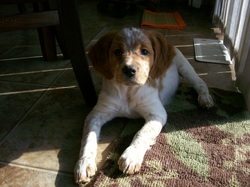 Dyna(mite) is very much like her sire and should make a nice show pup, hunting dog and family companion. 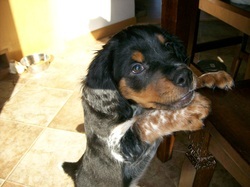 Thanks, Tim in Minnesota for adding this girl to your home.